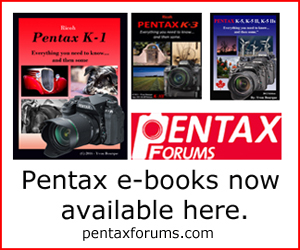 The Pentax-D FA* 50mm F1.4 is the 6th generation of 50mm F1.4 lenses produced by Pentax for the K-mount. The previous versions all kept the same basic properties: a compact body, lightweight and unobtrusive, with reliable optical performances. The D FA* broke the mold, with a significantly larger body and totally redesigned optical formula. This new lens comes with the promise of unparalleled results. This review takes a look at the D FA* 50mm and compares it with the film-era FA and M 50mm lenses. 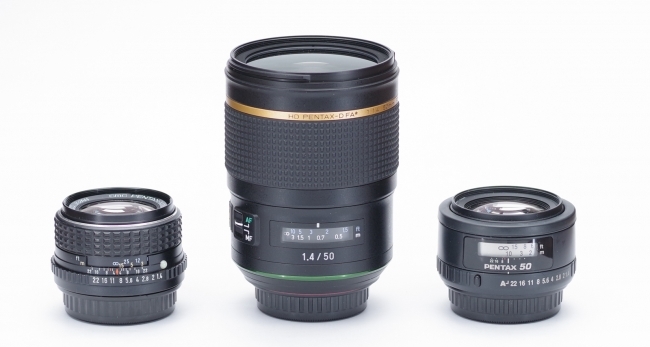 All share the same focal length and maximum aperture, but are vastly different. The M lens is a fully manual, metal-bodied lens, while the FA sports a plastic body and features autofocus and automatic exposure. About 40 years separate the M 50mm to its D FA* counterpart. Things are sure to have evolved, but to what extent? Read our comparison review to find out.